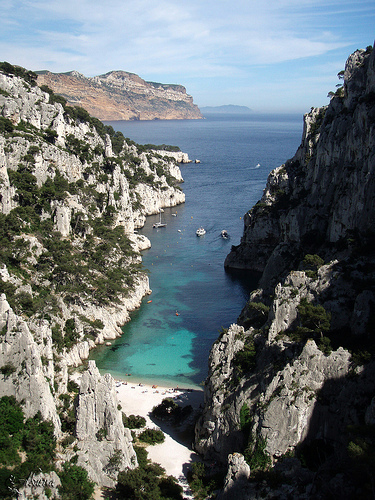 In the bays between Cassis and Marseille there are plenty of small beaches. Some can only be reached by boat, while others are more accessible . Here you can find your very own small private sandy beach. Outside Hyeres is the small island of Ile de Porquerolles. There are boats from Hyeres and Toulon. North on the island there are several wonderful sandy beaches. From the small village where the ferry arrives, Plage d’Argent is located to the east. On this beach there are restaurants etc. To the west lies the beach Plage Notre Dame. This is a larger and much quieter beach. 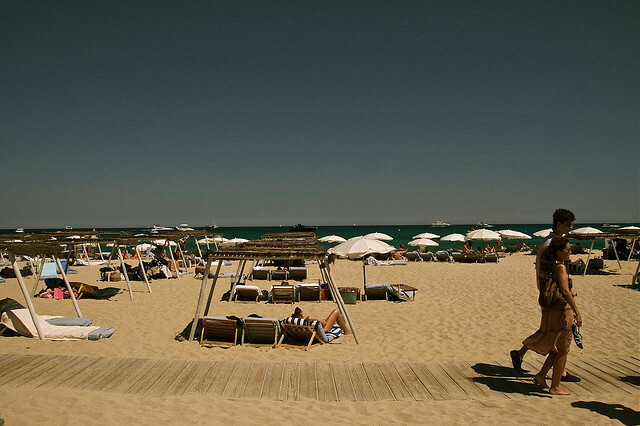 See and be seen at the world famous beaches of Saint Tropez – Plage de Pampelonne. Beautiful sandy beaches, with a number of private beach clubs with bars and restaurants open 24 hours a day. The Camargue lies the elongated sand dunes that form Plage de Beauduc. A paradise for kite surfing and wind surfing. In Saintes Marie de la Mer one can hire white horses and ride on the beaches. 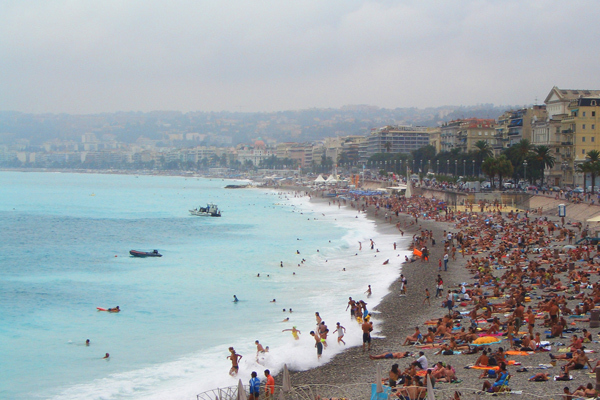 The beaches of Nice probably isn’t the nicest on the coast, but nevertheless we feel they belong on this list. The pebble beaches along the Promenade des Anglais are spectacular and all the people make the beaches an experience itself.